Port Vila is a sparkling jewel in the South Pacific. This island city boasts beautiful scenery and a laid back style with plenty entertainment to occupy you. Beautiful beaches, waterfalls, and lush tropical forests surround Port Vila in a relaxing paradise. Scuba diving, hiking, golf, wind surfing and game fishing are just a few of the sports activities available in this tropical paradise. If pampering is more your style, the duty free shops, classy hotels and resorts and fine dining will entice you. 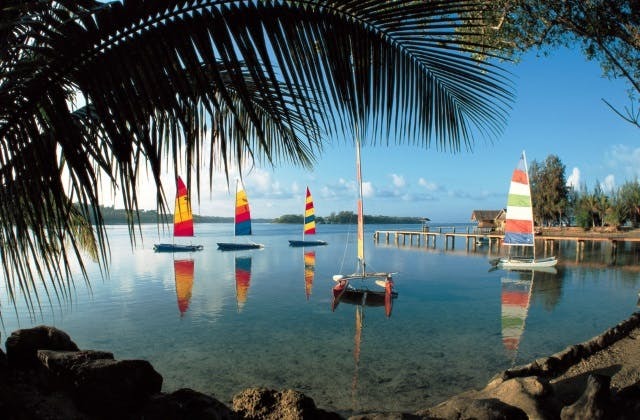 Port Vila is a cosmopolitan capital city sure to charm with its warmth and style. The Anabru Pacific Lodge Port Vila is the closest hotel to Port Vila airport. Port Vila has the International Air Transport Association (IATA) airport code of VLI. Futuna Island in Wallis and Futuna Islands is the closest international airport to Port Vila. It is 283 km . To Port Vila, the slowest trip is 56 hrs 15 mins.